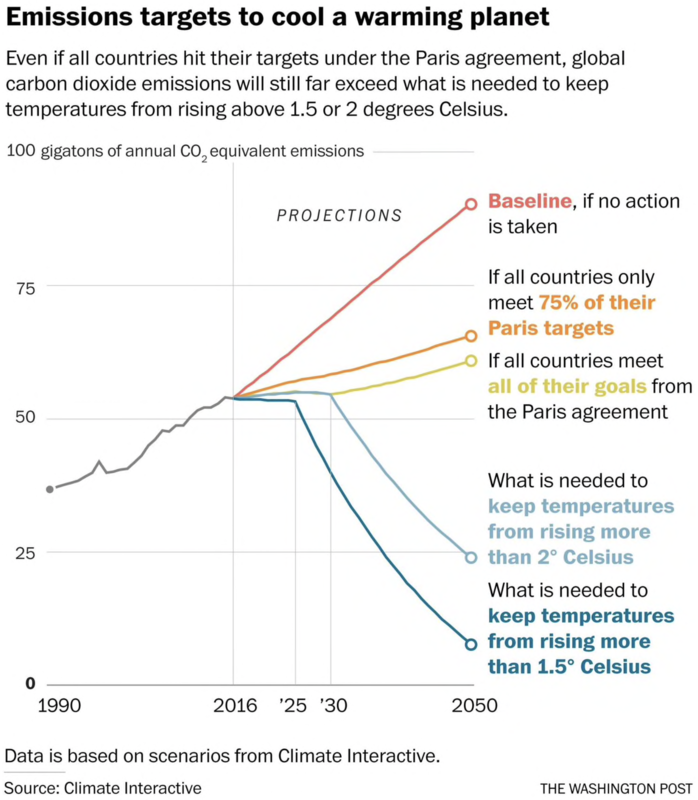 Graphic via The Washington Post. 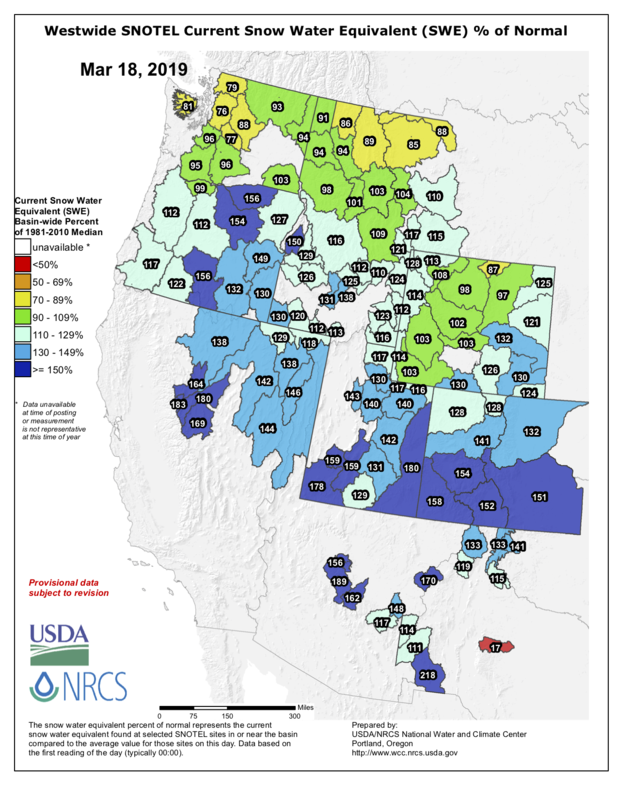 Colorado statewide snowpack basin-filled map March 18, 2019 via the NRCS. The Colorado Avalanche Information Center described the snowy torrents thundering over the weekend as historic. There were deaths, there were bizarre circumstances. 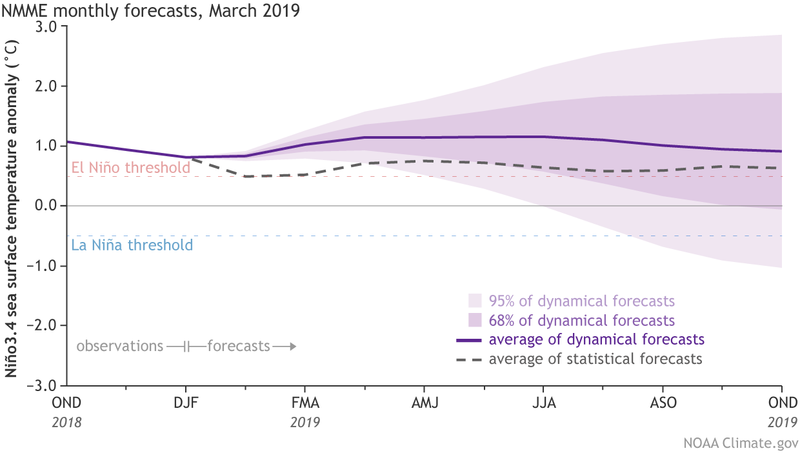 And at least one snowslide occurred at a scale perhaps not seen since 1910. “The avalanches are running much larger than they have, in some cases, for maybe 50 to 100 years,” Spencer Logan, an avalanche forecaster with the center, told the Summit Daily News last Friday, soon after the avalanche cycle began. First, the bizarre circumstances of the death of a 25-year-old man who was shoveling a low-angle roof with a companion on Saturday at a housing development near Crested Butte. According to a preliminary report by the avalanche information center, no one noticed the roof avalanche for about 10 minutes. Help was summoned, and their bodies were located by probes. The second snow shoveler, a 37-year-old man, who had not been buried as deeply, was treated for hypothermia. They had been buried for 20 to 30 minutes. This was in a subdivision about a mile south of the town of Crested Butte. Another roof avalanche buried a 28-year-old man the evening before in Mt. Crested Butte, the town at the base of the ski area. He was treated for low core-body temperature. Yet another roof shoveler had been rescued from a roof avalanche the weekend before. In Summit County, Arapahoe Basin Ski Area was closed for two days as a precautionary measure. Probably a good thing, said the Summit Daily News as notorious avalanche paths called the Little Professor and the Widowmaker ran, burying the highway to the ski area. More notable yet was an avalanche in the Tenmile Range above Frisco. There, a slide in 1910 took out a mining camp called Masontown. In local lore, everybody had been off to the bars in Frisco when the slide occurred. In fact, the town had been abandoned. Whatever. It was a big slide, and experts tell the Summit Daily that the slide that occurred last week might have been even bigger. The notorious Riverside slide had claimed many lives over the years until a snowshed was erected to funnel snows over the highway. This time it wasn’t enough. There was 20 to 30 feet of snow on the pavement before state crews intentionally triggered more slides, leaving up to 60 feet of snow. The new slide filled in the snowshed, too. 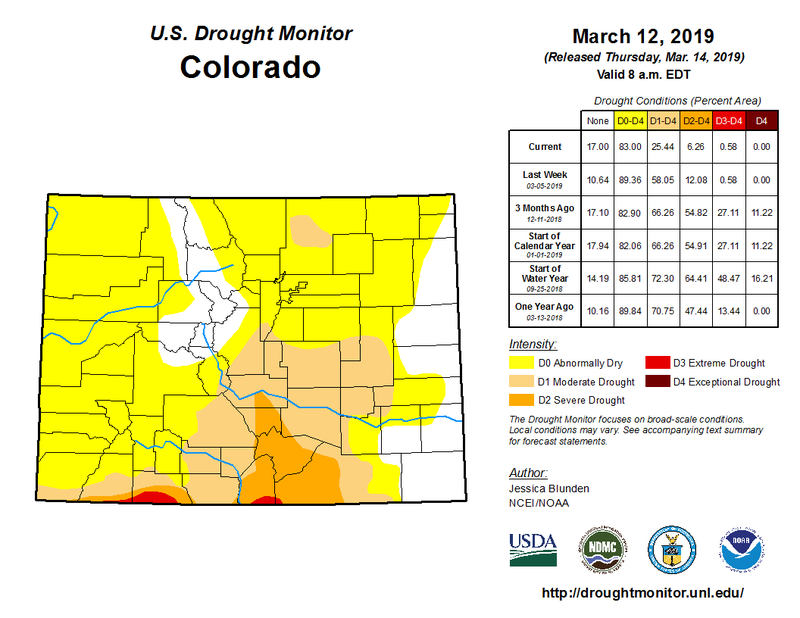 Colorado Drought Monitor March 12, 2019. 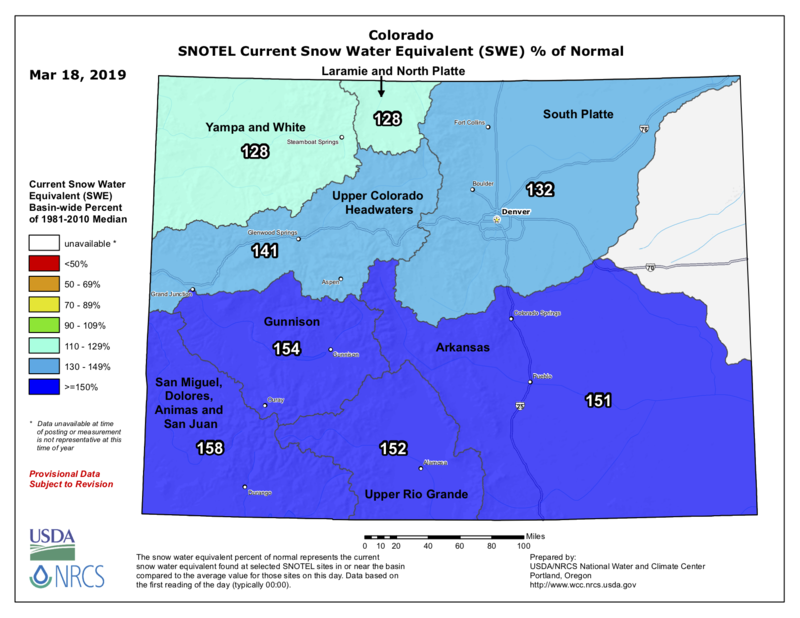 Colorado’s snowpack is now over 140 percent of normal thanks to a series of winter storms. 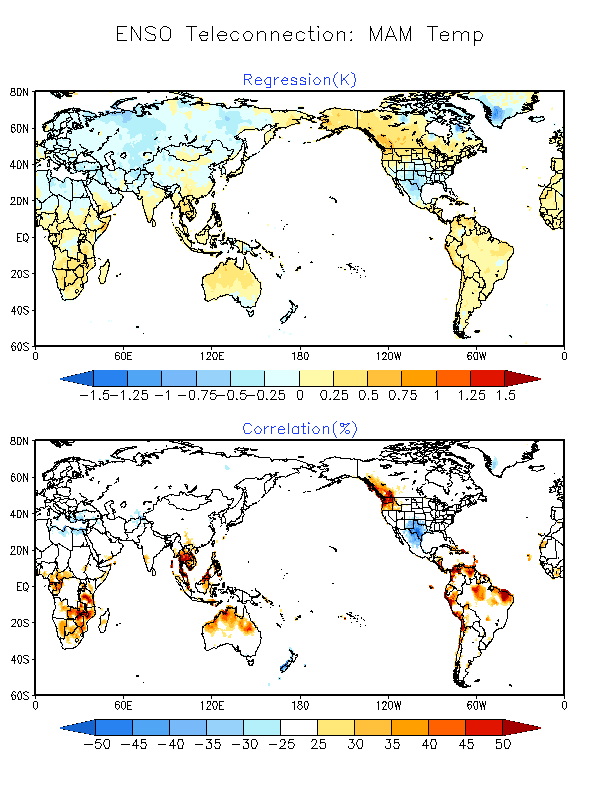 Southern river basins are above 150 percent of normal. The state has already exceeded average annual snowpack which usually doesn’t happen until early April. Any additional snow this spring will simply be icing on the cake in terms of water storage and drought reduction. The latest U.S. Drought Monitor map released on Thursday showed incredible news for southwest Colorado. For everyone who was caught in Colorado’s historic “bomb cyclone” blizzard Wednesday, a couple of visions come to mind: whipping winds, pelting snow and whiteout conditions. But Weld County farmers and water managers are still thinking about what happened in the relative calm before the storm: steady rainfall that seeped into the ground early on. It’s the type of moisture farmers want for their soil. During the 2018 water year, which ended in September and was the second-driest year on record for Colorado, behind 2002, about 15 percent of the state — mostly the southwest region — experienced exceptional drought conditions, the type states only expect once every 50 years. 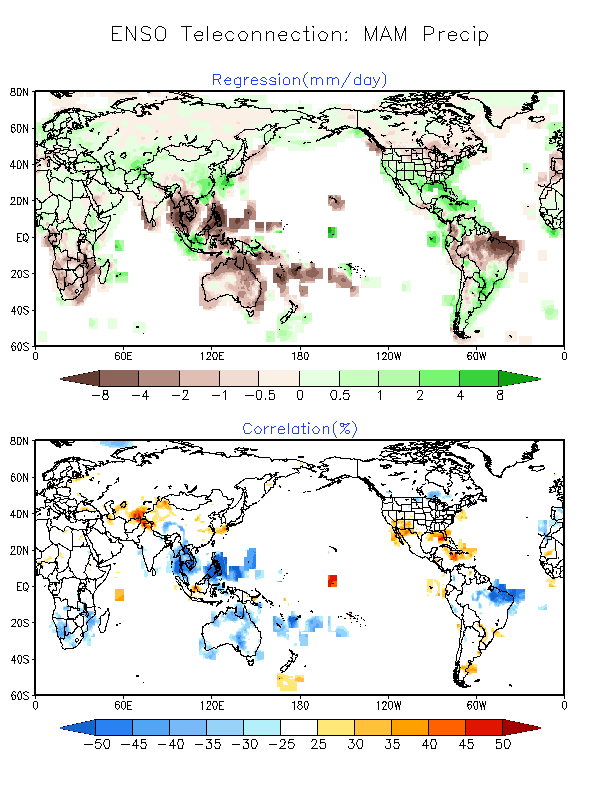 When the water year started over in October, conditions started to change dramatically. As of March, not one region of the state is experiencing exceptional drought conditions. Most of the state, 57 percent, is abnormally dry. 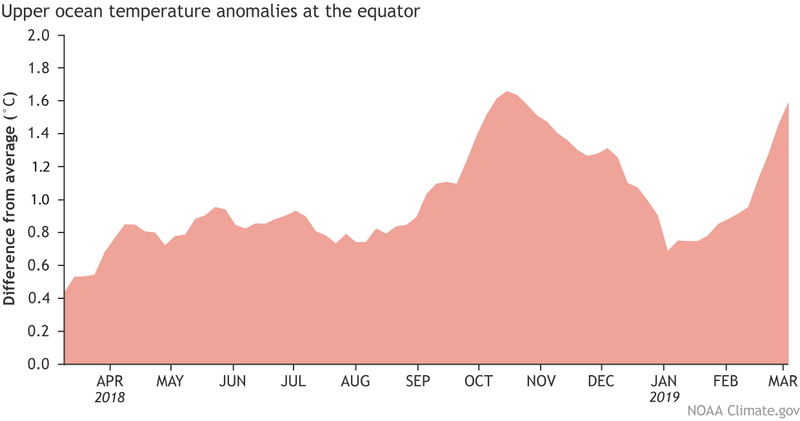 [Russ Schumacher] said he usually expects the peak of snowpack to come in early to mid-April. 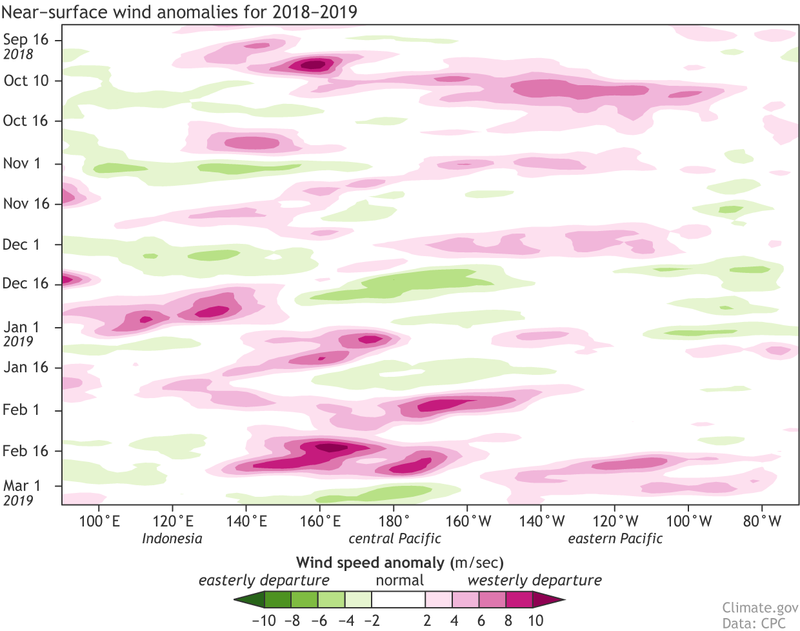 But many portions of the state have already passed the normal peak in just the first half of March. Westwide SNOTEL basin-filled map March 18, 2019 via the NRCS. Because technology is a critical part of delivering water, Denver Water tested its readiness against a cyberattack. The Pentagon is reportedly lobbying for a more lenient standard for cleaning up toxic chemicals used for decades in firefighting foam that have been found in drinking water in southern El Paso County and around the country. Even if the Pentagon is successful, the Air Force appears unlikely to get off the hook for cleaning up the contaminated Widefield aquifer serving tens of thousands of residents south of Colorado Springs, state health officials said. The Defense Department’s push to revise safety standards comes as it faces billions of dollars in cleanup costs tied to its decades-long use of a firefighting foam laced with per- and polyfluoroalkyl substances. The chemicals, known as PFAS, are tied to cancer, liver disease and low infant birth weight. The lobbying appears aimed at influencing the Environmental Protection Agency’s groundwater cleanup standard — a level at which cleanup would be required of polluters. In a report to Congress, the Pentagon said an appropriate level is 380 parts per trillion, the New York Times reported. It’s at least five times what the EPA says could be harmful to people, and dozens of times higher than another federal agency says is toxic to people. “DOD is not seeking a different or weaker cleanup standard but wants the standard risk-based cleanup approach that is based on science and applies to everyone,” the statement said. Still, one of Delaware’s Democratic U.S. senators, Tom Carper, claimed in a letter to the EPA that the Defense Department is currently only cleaning up sites where groundwater readings exceed 400 parts per trillion, and only removing the chemicals to 70 ppt. The Pentagon was joined by NASA and the Small Business Administration in lobbying for more relaxed standards, the senator said. The Pentagon report only referenced two PFAS varieties — PFOA and PFOS — even though thousands of other varieties are known to exist. The report was issued last year, and reported Thursday by The New York Times, along with Carper’s letter. The Defense Department’s maneuvering is expected to have little impact on cleanup operations around Peterson Air Force Base, Colorado health officials say. State regulations would still force the Air Force to clean up the tainted Widefield aquifer to a more stringent standard that is in line with the EPA’s current health advisory, according to Kelly MacGregor, a Colorado Department of Health and Environment spokeswoman. The state’s Water Quality Control Commission voted unanimously in April to adopt a site-specific groundwater quality standard of 70 ppt for the same two chemicals — PFOA and PFOS — combined. Even without the state standard, the aquifer’s contamination downstream from the base is so bad that cleanup efforts around Peterson would likely go unaffected by the Pentagon’s lobbying. 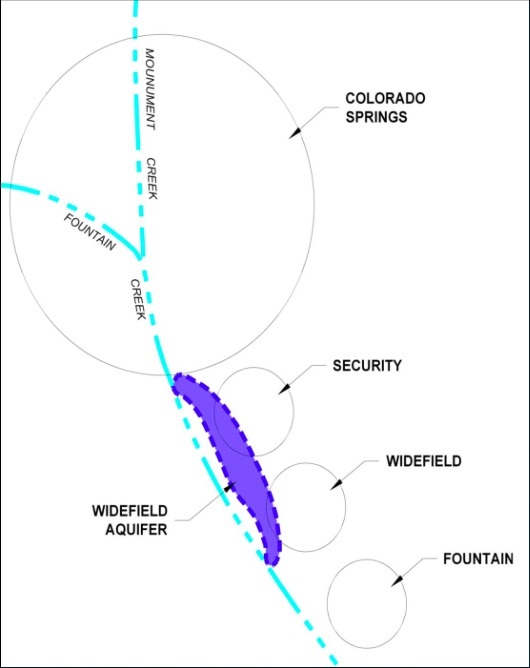 Seven wells drilled about three years ago in the Widefield aquifer showed PFOS at levels of 400 ppt or greater. One well drilled at the Colorado Springs Airport found the chemical at 1,600 ppt. Neither the state’s adopted groundwater standard, nor lobbying efforts in Washington, D.C., touch on the thousands of other types of chemicals, also called perfluorinated compounds. For communities affected by use of the foam, such as Security, Widefield and Fountain, that could be a significant problem, Andrews said. For example, another type of chemical called PFHxS is often associated with use of the firefighting foam. And no other type of perfluorinated compound was as common in drinking water samples taken from Security or Fountain wells as PFHxS, nor present at such high levels, according to EPA drinking water data. A couple of other chemicals were reported as frequently in wells serving Widefield. But again, none were as consistently high as PFHxS. It also has been found in the drinking water of dozens of other water districts across the country, EPA results show. The federal Agency for Toxic Substances and Disease Registry says it could cause liver damage and a decreased ability to respond to vaccines. Several other types of PFAS also have raised health concerns while being found in water systems across the country. “Really we’d like to see the EPA and the DoD focusing on reducing the total PFAS contamination … shifting into high gear and taking responsibility for cleaning up all of this contamination,” Andrews said.